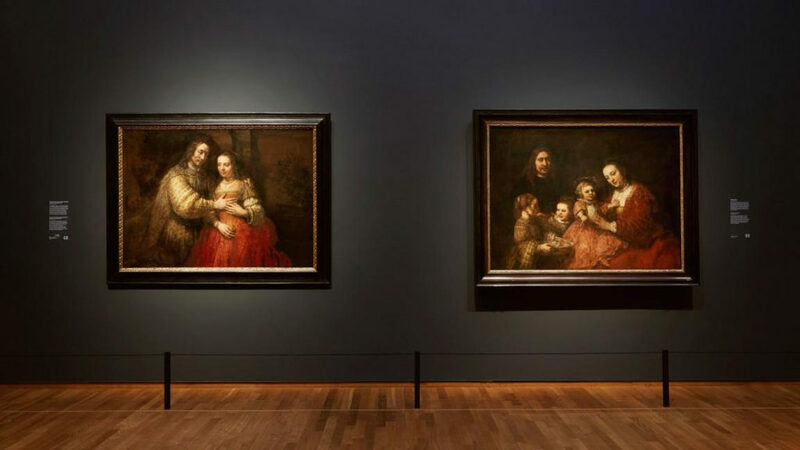 Every Rembrandt exhibition is eagerly anticipated but this major show hosted by London’s National Gallery and Amsterdam’s Rijksmuseum was an event like no other. Given privileged access to both galleries the film documents this landmark exhibition, whilst interweaving Rembrandt’s life story, with behind-the-scenes preparations at these world-famous institutions. Exploring many of the exhibition’s key works, through contributions from specially invited guests including curators and leading art historians, this EXHIBITION ON SCREEN favorite makes a welcome return to the big screen. For many, Rembrandt is the greatest artist that ever lived and this deeply moving film seeks to explore the truth about the man behind the legend. © 2010 - 2019 The Music Hall. All rights reserved. The Music Hall is a 501(c) 3 tax exempt, fiscally responsible not-for-profit organization, managed by a volunteer Board of Trustees and a professional staff. All contributions are tax deductible to the full extent allowable by law.